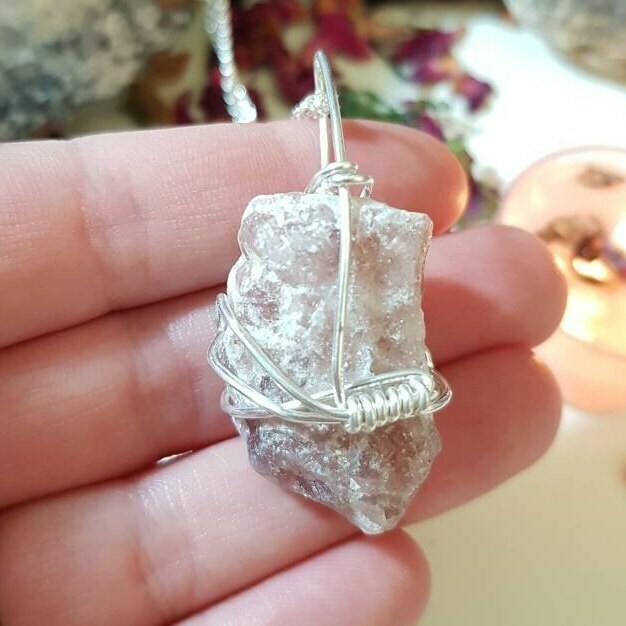 Wire wrapped raw Strawberry Quartz Necklace. 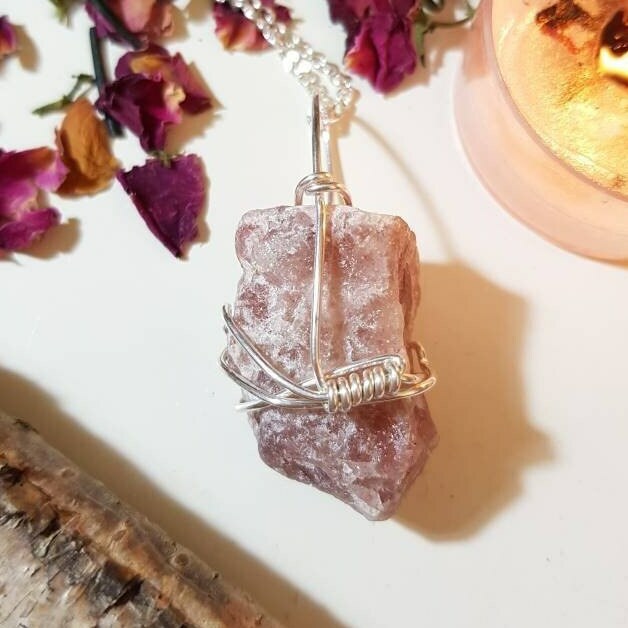 Carrying Strawberry Quartz can be soothing and calming for someone who works in a fast-paced environment. 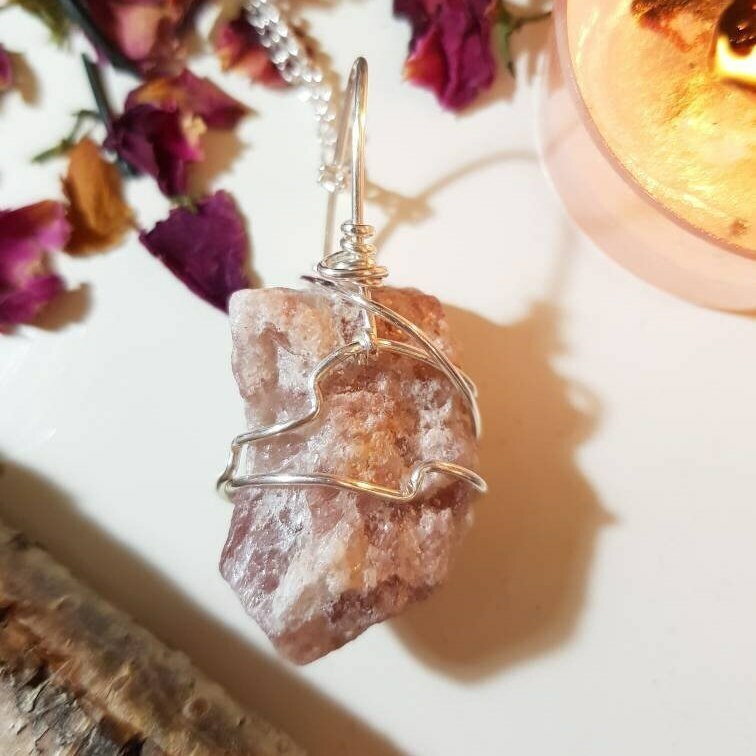 Strawberry Quartz is a great facilitator of gaining hidden knowledge. 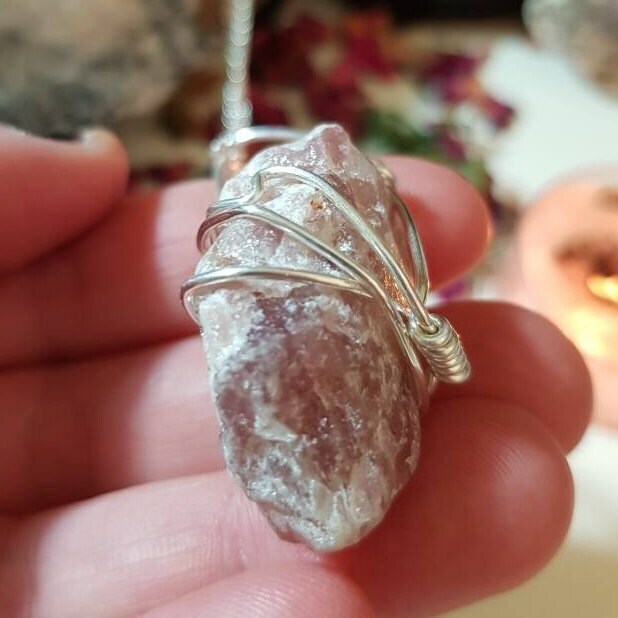 Hold Strawberry Quartz as an aid/companion during meditation or journeying. Wire, chain and findings are plated silver. Necklace measures approx. 50cm, pendant measures approx. 5cm x 2.5cm.